After a four hour bus ride through China’s Chongqing countryside, I came to China’s first and only commercially producing shale gas well at Fuling–not something a lot of foreigners get to see. The hillside roads were tight and windy. Our medium-sized tour bus had to stop a number of times and back up to let other cars or trucks squeeze by. When we reached the shale site, it was not only a marvel of technological development (China’s shale sits about three miles down while shale in the United States is a mile or less), but it was also a feat of logistics. How in the world the frack trucks, millions of gallons of water, hundreds of tons of sand were able to traverse the steep terrain, narrow roads, and hairpin turns in such a remote part of the country is a mystery! It’s certainly not the flat, straight, and vast countryside most Americans think of around Texas’ Eagleford or North Dakota’s Bakken shale formations. China holds the most shale gas of any country in the world, and the Chinese government wants to “usher in a golden age of shale gas.” After the bus ride, I was left wondering: how they were going to get it from such a remote part of China and delivered to market? The site visit was part of the U.S.-China Oil and Gas Industry Forum (OGIF) — the most prominent and long-standing forum for the United States and China to talk about oil and gas regulatory and environmental issues. It’s a chance to talk with the Chinese government about what’s going well in their oil and gas sector and what might go better. Discussions focused on innovation, sustainability, and efficiency for shale development, but that’s only part of the story. The presentations also demonstrated some very cool technology coming out of the United States and how it can reduce costs and improve the economics of shale gas, even in challenging topographic and geologic areas like we saw around Fuling. 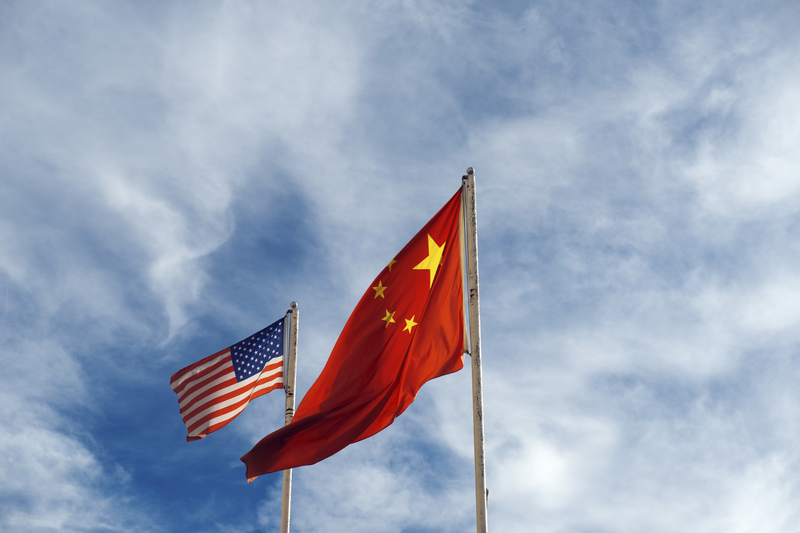 In addition to regulatory and environmental issues, OGIF is also a chance for the U.S. government to hear from U.S. companies working in China’s oil and gas sector. We heard that things, while improving in some ways, are still quite challenging. Companies have started to step away from developing shale in China because the regulations on foreign investment and operatorship are overly restrictive. Geological data below 1000 feet is a state secret. Companies are only able to buy spare capacity in natural gas transmission pipelines and foreign intellectual property is too often “localized” for the benefit of Chinese companies. From my standpoint working for the International Trade Administration, I thought it was ironic that the Chinese government is placing a priority on greater foreign investment in its shale sector while maintaining such heavy restrictions on foreign companies. As the shale gas revolution on the other side of the Pacific begins to take off, and I’m certain it will, the speed to which it will be developed is uncertain. In the United States, we went from almost no shale gas production in 2007 to 50 percent of U.S. natural gas production coming from shale today. By contrast, China’s shale gas exploration started in 2010, and five years later, production levels are only equivalent to what the United States was producing in the late 1990s–which is to say, not much. For China to succeed in “ushering in the golden age of shale”, the Chinese government will need to rethink its foreign investment policies. Because as it stands now, U.S. companies will be more inclined to keep their distance, and all that really cool technology that we saw at OGIF may be nothing more than presentation slides.